1 drawing on paper ; 8.5 x 11.5 in. Pencil drawing on textured paper of four children. A girl in a dress sits on the edge of seat next to smaller child in overalls and untied shoelaces, both facing the viewer. 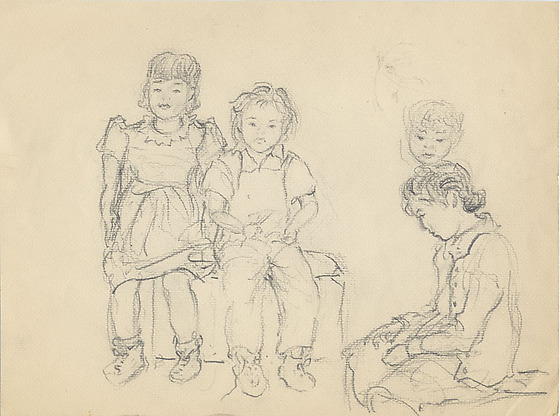 Another girl sits to the side, seen in profile, bottom right, with head down in comtemplative manner and her hands in her lap ; the head of another child is sketched behind her.